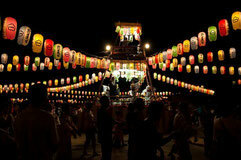 A Bon-festival-dance is a dance event in the summer festival of temples and shrines etc. The root is a Buddhist invocation dance for the dead. Now, it is an elegant Japanese-style dance event which can be enjoyed in a summer festival. 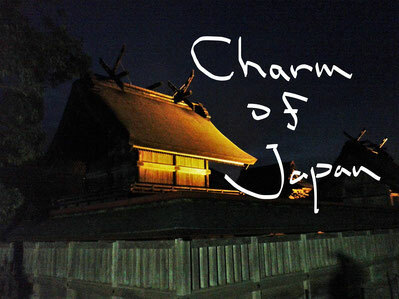 Dancers (anyone can participate in the festival) wear a graceful yukata, and dance with smile. In the event, Japanese-style drums are performed and a Japanese folk song is sung. Everybody dances according to the music. You can wear a yukata in a summer festival of Japan, and can enjoy a fascinating dance. "Somen" is the thin noodles made from wheat. It is one of the Japanese-style dishes which soak cold noodles in cold soup and are eaten. Therefore, in Japan, everybody eats Somen well in summer. Furthermore, in the beautiful mountain stream (the place with clean natural water) in Japan, there is the cold delicious dish "Nagashi-somen (fine wheat noodles eaten from running water)." It is very elegant. If you also travel to "Kibune of Kyoto", or "the Amida-ga-taki waterfall in Gifu" in summer, you can eat this great Somen.